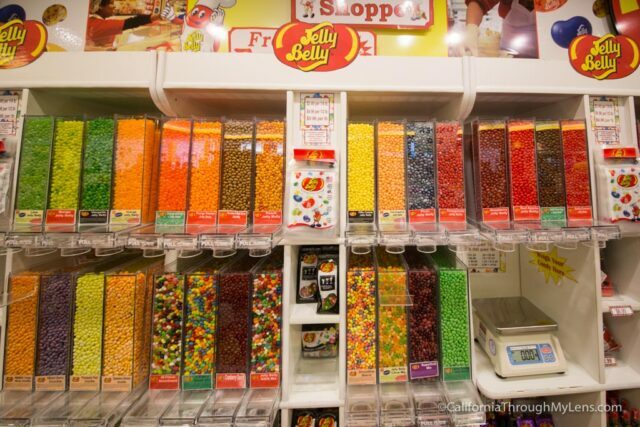 For as long as I can remember, I have been a fan of Jelly Beans. When I was growing up, my mom would even buy me the jar of beans from Costco with a few pounds of Jelly Beans in it, and I would devour the whole thing in a matter of days. 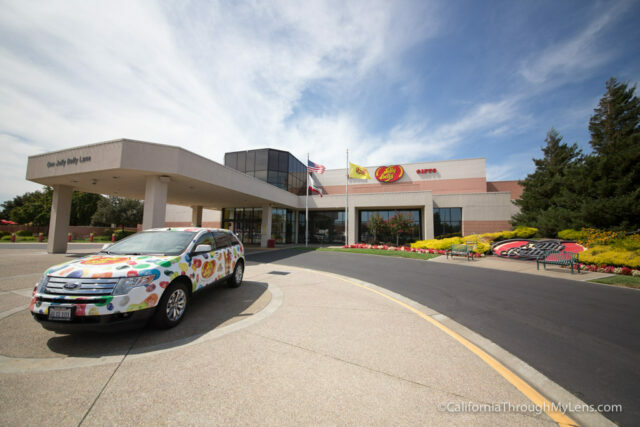 So when I heard that the Jelly Belly factory was in Northern California, I added it to my list of places to experience for myself. 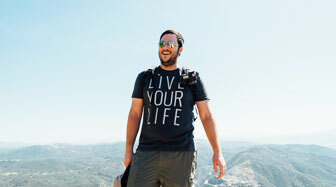 Two years later, on the way to Napa Valley, I finally got to experience this magical spot and take a tour. Here is all the information so you can go yourself. 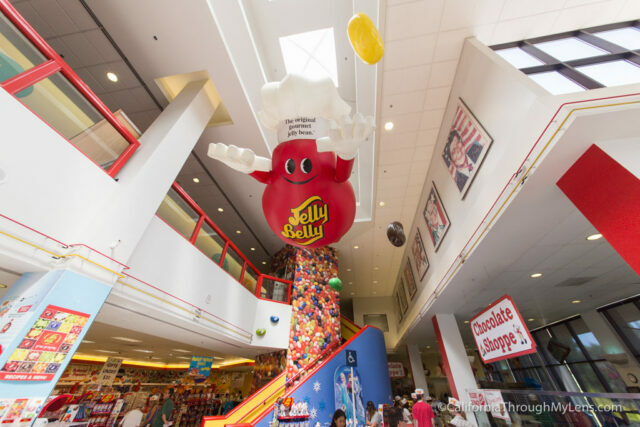 After exiting the freeway and turning down Jelly Bean Lane (yep they have their own street), you will see the large Jelly Bean Factory right in front of you. 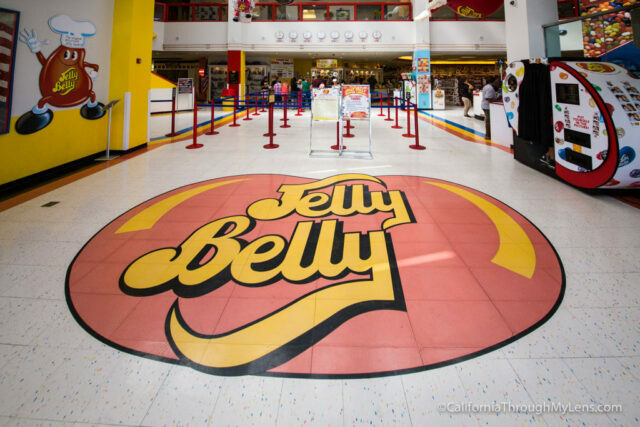 There is a lot of parking, but take your time and explore the exterior as there are a few fun signs to see before you are whisked away into the magical world of Jelly Beans. If you are looking to tour the factory, then I would recommend checking in for a tour first as you may have to wait, so you want to make sure you are checked in. Tours depart every 20 minutes throughout the day, and you may have to wait for 20-30 minutes to get on a tour when you go. Update – I have heard the tours are self-guided now, so you go at your own pace and meet representatives at different spots. There are no cameras allowed on the tour, so there are not any pictures after the time I was told to turn the camera off. Production is only during weekdays, but they have videos they show if you tour on the weekend so you can visualize what it looks like when people are working below you. You are provided a fun paper jelly bean hat that you must wear while on the tour and why wouldn’t you want to, it’s awesome. 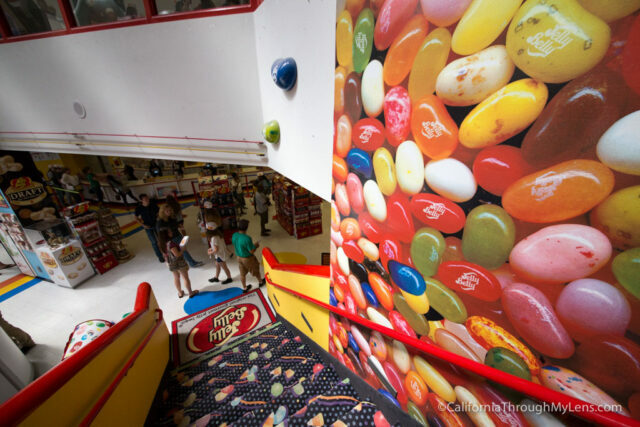 The jelly center of a jelly bean is a descendant of Turkish delight candy. The bean was brought to America in 1861. There were eight flavors in 1976 and now there are over 50. Reagan used them for kicking a cigarette habit, and it was said that he eat them before many meetings. 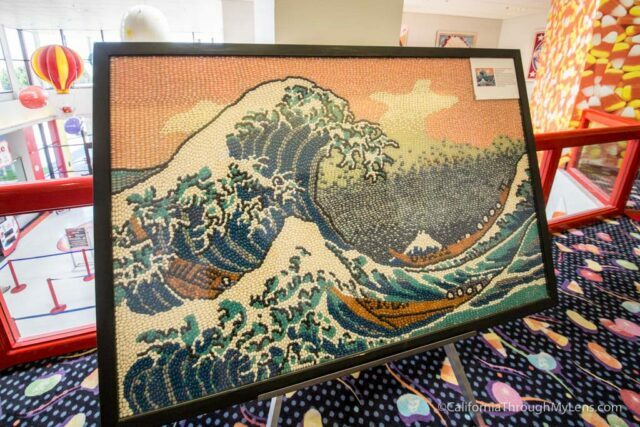 His favor flavor was licorice and his likeness was the first to become a Jelly Bean mosaic, since his love of the candy helped to further its popularity. 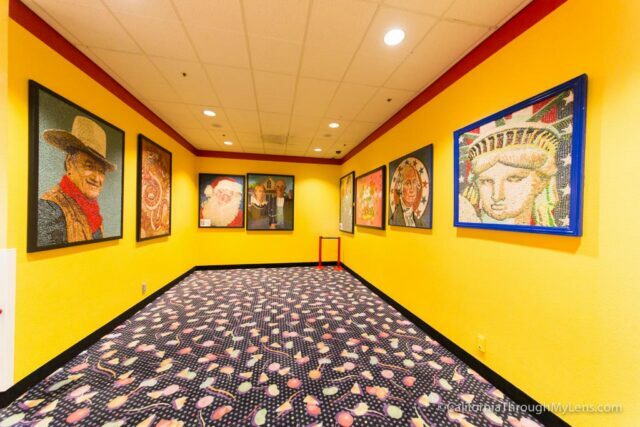 Now they have likenesses all over, everyone from Elvis and the Pope to Spider-Man and Donald Duck has been made into Jelly Bean art. To make one, the photograph is pencil sketched on wood and then colored in to show where the appropriate color bean goes. First, the sugar is cooked and molded. From there it is given a hard shell and then shined. The coconut bean has actual flakes and the chocolate has actual chocolate. There are a ton of stainless containers that are used to take the center and add the hard shell. 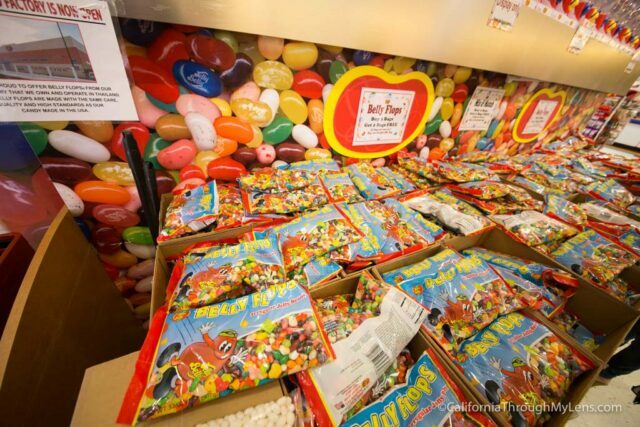 They have over 150 types of candy other than jelly beans. 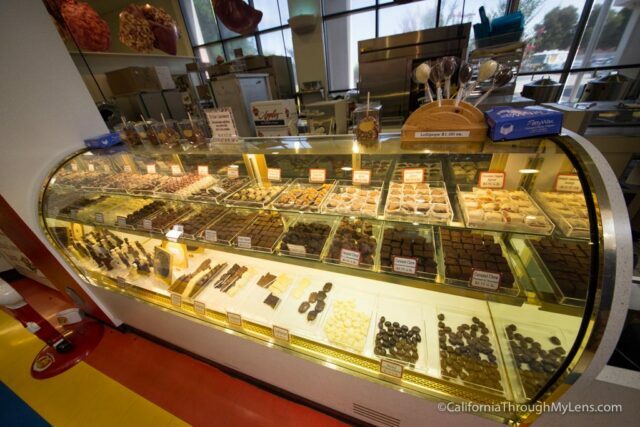 Everything from almonds and chocolate to candy corn. 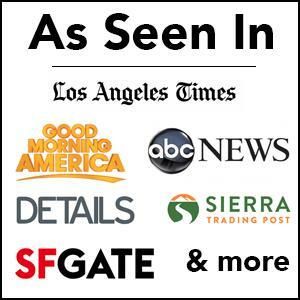 You can try a lot of these in the store. 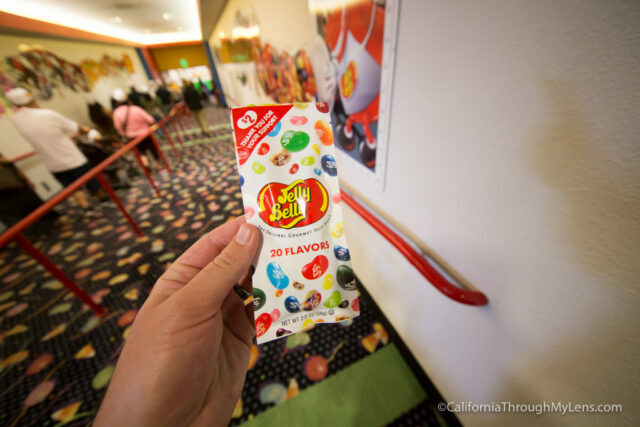 At the end of the tour they give you a free small bag of Jelly Beans, so not only is the tour free but you get free beans at the end. 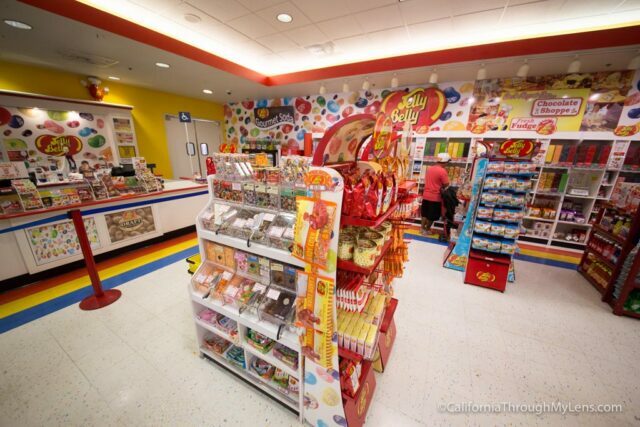 Lastly, they have a full store that you can browse where they sell all sorts of Jelly Beans, as well as the other candies made by the company. 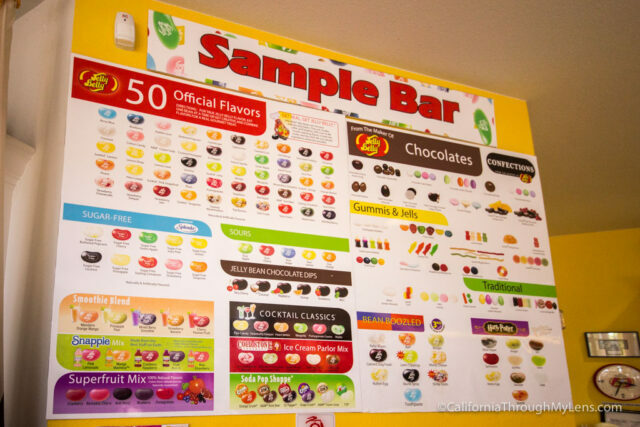 You can head over the sample bar where you can pick 2-3 of any of their flavors to try; these include the Harry Potter beans that taste like grass and other strange flavors. After you have spent time in this magical world, then it is time to head out. 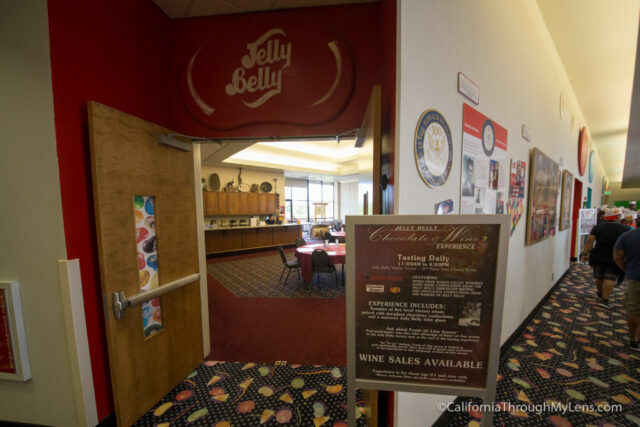 The Jelly Bean Factory was just as impressive as I hoped it would be, and I highly recommend you bring the whole family and head over to Fairfield to check it out.